Ghazali’s Ihyaʾ is a blueprint for renewing one’s religious practice and drawing closer to Allah. 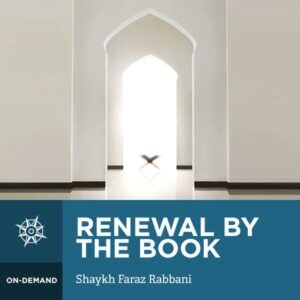 Known, not only for his knowledge, but his exceptional teaching ability, Ghazali selected key verses of the Qurʾan to base this renewal on. This course takes us through many of these verses, as they are mentioned in the work, to renew our practice according to his blueprint. The topics covered include purification, remembrance, repentance, supplication, marriage, brotherhood, and other essential subjects.